This unit includes Jayco's Customer Value Package. Fretz RV is the highest rated volume Jayco Dealer in PA. For over 35 years, Fretz RV has represented the Jayco product line from pop up campers, Jayco Travel Trailer, Fifth Wheel, Jayco Greyhawk, and Jayco Class A motorhomes. Come in to Pennsylvania's top Jayco dealer and let us help you make a great deal on the Jayco of your choice. We also have the area's largest selection of used RV's, and offer great financing options as well. So, if you are in the York, Harrisburg, Lancaster, Philadelphia, Allentown, New Jersey, New York, or Maryland region; stop by and browse our huge Jayco RV inventory today. Fretz RV is a top dealer for all 2017, 2018, and 2019 Jayco trailers in the Philadelphia, Pennsylvania, Delaware, Maryland, New Jersey and New York Areas. These campers come in as Travel Trailers, Fifth 5th Wheels, Toy Haulers, Pop Ups, Hybrids, Tear Drops, and Folding Campers. Brand Names Hummingbirds, Jay Series Sport Camping Trailers, Jay Feather, White Hawk, Jay Flight, SLX, Bungalows, Eagle HT, Eagle, North Point, Pinnacle, Designer, Octane, SL, Talon, Seismic, and Wave. We also carry used and Certified Pre-owned RVs like Forest River, Mobile Suites, DRV, Redwood, [email protected], Dutchmen, Keystone, KZ, Grand Design, Casita, Scamp, Cougar, Montana, Raptor, Springdale, Passport, Salem, Catalina, Coachmen and Airstream, and are always below NADA values. We take all types of trades. When it comes to RVs, we are your full service stop. With over 72 years in business, we have built an excellent reputation in the RV industry to our customers as well as our suppliers and manufacturers. At Fretz RV we have a 12,000 Sq. Ft showroom, a huge RV Parts and Accessories store. We are adding a 30,000 square foot Indoor Service Facility opening Spring 2018. We have full RV Service and Repair with RVIA Certified Technicians. Bank financing is available for RV loans with a wide variety of RV lenders ready to earn your business. It doesnt matter what state you are from, we have lenders that cover those areas. We have different RV warranty companies available. We can provide you with rapid RV Insurance quotes with minimal information. We have an RV rental program to serve your short term RV needs. We have detailed videos on RV Trader, RVT, Classified Ads, eBay, and Youtube. Like us on Facebook! Serving all areas of the world! Check out our great Google and Dealer Rater reviews at Fretz RV. We are located at 3479 Bethlehem Pike, Souderton, PA 18964 215-723-3121 Start Camping now and see the world. We pass RV savings direct to you. Call for details! 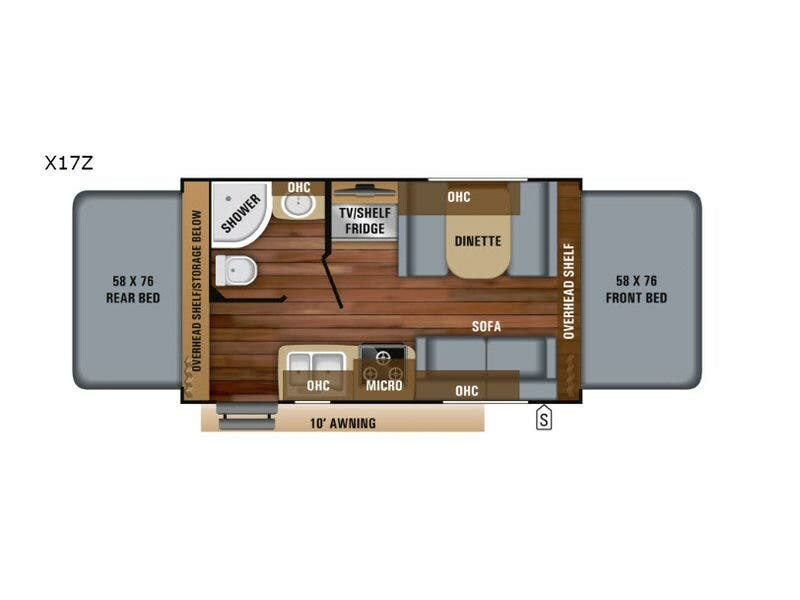 Check out Stock # 15006 - 2019 Jayco Jay Feather X17Z on jaycorvsource.com!